Today’s gust feature is from Hannah Scoones who has just launched a crowdfunding campaign to fund Band-it. I asked her to share her story. One of the difficulties if you have lost some of your sight is navigating everyday objects. Things that are straightforward to do with full vision, such as cooking a meal or washing your hair, can become more difficult when you are not sure which bottle to use for what in the bathroom or which tin to open for lunch. This is where Band-it comes in. 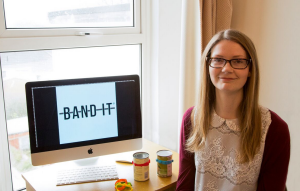 Band-it is a product designed with and for people who are visually impaired, to give greater independence in their own homes. 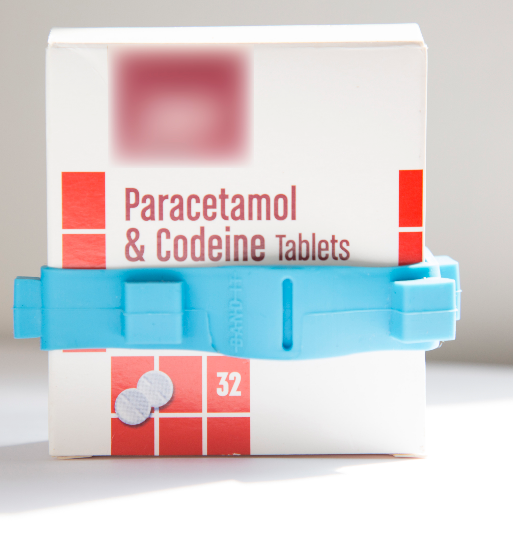 It is a set of tactile rubber bands which can be stretched over different household products to make them more easily identifiable through colour and touch. A Crowdfunder campaign, crowdfunder.co.uk/bandit, is fundraising to enable this product to be manufactured. “The bands were great and made it very easy to distinguish between storage tins that were the same texture and size. Probably the very best was being able to know what was in each spray can in the kitchen – so easy to spray the dining table with oven cleaner rather than polish but with the bands there can be no mistake,” says Sue Harold, a visually impaired product tester. The initial concept was developed by Hannah Scoones in her final year studying Sustainable Product Design at Falmouth University, and has been further developed since graduating in 2014. She became interested in the area of inclusive design, which is design for all ages and abilities, whilst studying. This product is one that she hopes will be the first of many in this area of design that comes to fruition through Band-it Products Ltd. The product is made from silicone rubber, and has the stretchiness of an elastic band, which was designed after trying many different ways of attaching the bands to different sized objects, where other fastening methods are too complex. The tactile shapes have also gone through a rigorous process to end up with shapes that are distinct enough from each other and large enough so that they can be easily distinguished. 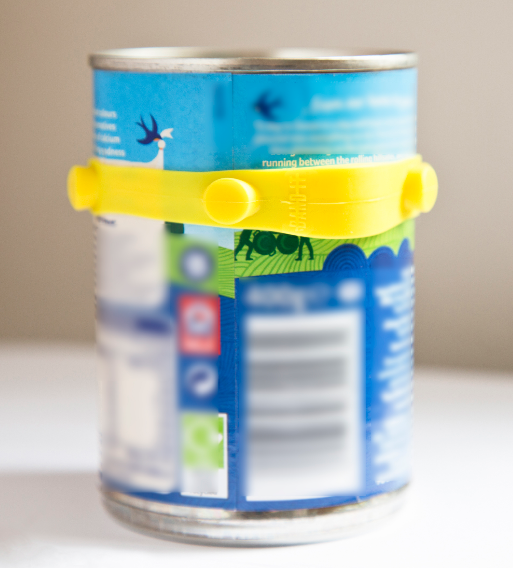 The bright colours are very important as many people who are visually impaired still have some level of sight, and so these help to draw attention to the objects they are used around. There is one final design feature which is an indented line on one side of the band. This enables the bands to be used to identify a side on an object, for example if put on a spray can, this can be lined up with the nozzle to give confidence in which way the spray can will spray. Often the simplest solutions are the best, and the hope is for this product and others that follow to not only positively impact the lives of those who are visually impaired, but many others as well. Band-it is available as a Crowdfunder reward from the 1st -30th April 2016 at £10 a set. Please follow Band-it on www.facebook.com/banditproducts/ or @BanditProducts on Twitter to be kept up to date with the campaign, and visit bandituk.com for more information.